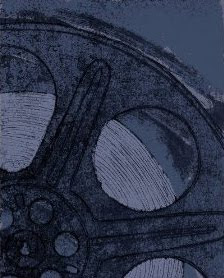 With the arrival soon at the movie theatre of the new version of Jane Eyre, I went looking for other movie versions of Charlotte Bronte's story and as a result, I watched and thoroughly enjoyed Masterpiece Theatre's Jane Eyre. What did I like? Well almost everything. The casting was superb as was the cinematography. The story was dark and brooding, which was exactly as it should be. Was there anything I did not like? Well, if I were to be really picky. I think that there is a bit at the end that is odd but that comes after the conclusion of the story and just makes you wonder why they added that bit on at the end. 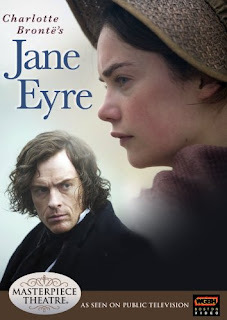 For Jane Eyre fans who are into blu-ray, I am sorry to report that at least until the 2011 Jane Eyre is released on blu-ray, there are no options to watch this period drama in that format but please do not let that stop you from checking out Masterpiece Theatre's Jane Eyre. Click here to buy the Masterpiece Theatre version of Jane Eyre from Amazon.